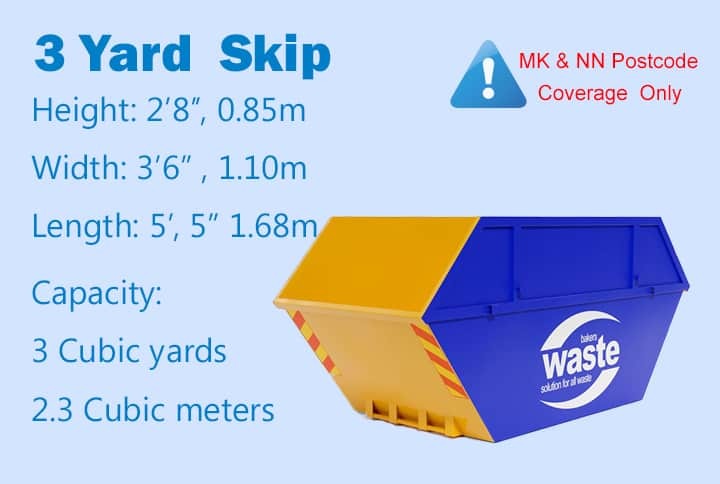 This great 3 yard skip is available to customers in NN and MK postcodes. It is the perfect skip to hire for DIY projects around the home, refurbishments of small commercial units as well as garden waste requirements. If you have an Leicestershire postcode and require a small skip, book a 2 yard skip here.